Consider the current state of airplane tracking. Using technology developed in the 1930s, ground-based radar stations receive reflected radio signals to detect and identify aircraft, measure their approximate positions and follow their paths via successive signal transmissions. But 70 per cent of the world — including oceans, mountainous regions and remote areas like the Arctic — is not covered. In those places, we don’t know exactly where planes are at any given time. They report their position every 10-14 minutes, and because of that lack of precision, air traffic controllers keep those planes pretty far apart — as much as 160 kilometres of separation. That’s what Aireon is hoping to change. 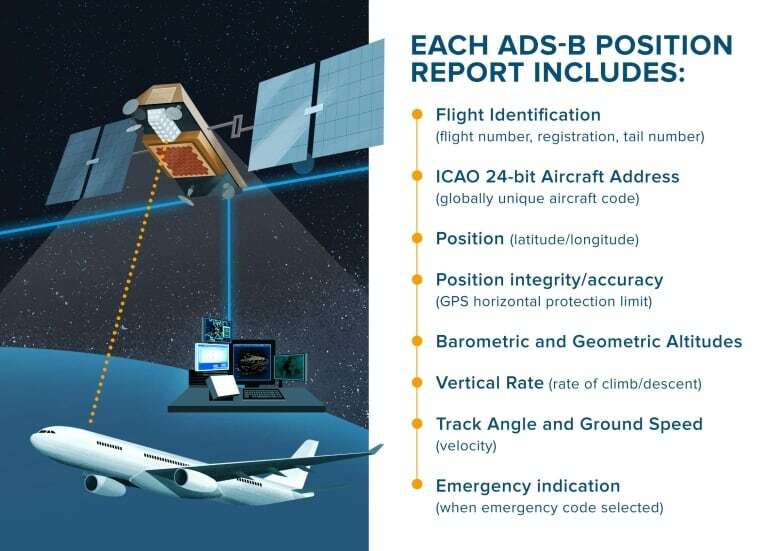 Planes equipped with ADS-B capabilities can now stream their exact position, including altitude, twice per second, wherever they are in the world, to a network of 66 satellites. Nav Canada and NATS, its U.K. equivalent, are the first air navigation service providers to put the system to use. Last week, air traffic controllers in Gander, Newfoundland, and Britain began tracking planes in the North Atlantic — one of the busiest air traffic corridors in the world — using this new stream of data. Nav Canada estimates 95 per cent of jets currently crossing that corridor are equipped with ADS-B, and says all commercial jetliners being built now are outfitted with the technology. The aim is to have air navigation service providers around the world sign on, at a cost. With the exact position of the flights constantly updated, controllers can reduce the space between planes to about 25 kilometres and make last-minute adjustments to flight paths. That means more planes can share the airspace at the same time. Nav Canada says it will also save a little bit of time and fuel on every flight. It might not seem like much — a few minutes for each trans-Atlantic flight and about $400 in fuel, but it adds up when multiplied by up to 1,500 flights on a busy day. And that’s just in the North Atlantic region. The new technology could also have a big impact when things go wrong. “If there’s an emergency, search-and-rescue teams can get there and know exactly where they’re going — where before they were guessing in many cases,” Slutsken says. When an Ethiopian Airlines Boeing 737 Max 8 crashed last month, Aireon was able to provide authorities with the plane’s exact flight path long before the data was downloaded from the flight recorders. The company said it was the same information Canadian transportation officials relied on as they assessed whether to ground all Max 8s in Canada. As significant as this new technology will be for navigation, it probably wouldn’t have solved one of the biggest aviation mysteries: the disappearance of MH 370. Just over five years ago, the Malaysian Airlines jet disappeared off radar screens and has never been found. There was no radio call, and the transponder, which communicates with ground radar, appeared to have been turned off. In that rare instance where someone is trying to avoid detection, the ADS-B could likely be turned off, as well. But MH 370 remains the rarest of circumstances. For thousands of commercials flights each day and even the occasional emergency, Aireon is now keeping a real-time record of where those planes are, every second, everywhere in the world.